Coming-of-age comedy with Kévin Azaïs plays mild-mannered Arnaud who is looking forward to a carefree summer in a small seaside town. 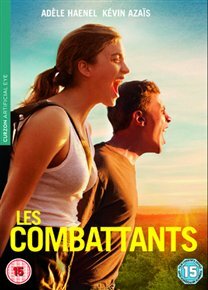 But after he meets tomboy Madeleine (Adèle Haenel) at a self-defence demonstration his plans change and he becomes infatuated with her. Deciding to join her on a military training camp the couple grow closer with their joint loathing of the camp.